Matt Starr and his Professional staff describe it as "getting a feel through numbers". The FlightScope X2 provides real-time feedback on the swing and the resulting ball flight to the instructor and student, making lessons even more effective. Utilizing FlightScope X2, we capture 22 data points to properly custom fit you with the latest Driver, Fairway Woods, Hybrids, Irons and Wedges. FlightScope actually tracks the golf ball until it lands, giving the most accurate information to the instructor and student. One of our goals as instructors is to provide our membership at Meadow Links & Golf Academy with the latest in technological advances that can help improve every individual’s golf experience. FlightScope Lessons! Why guess, when you can measure? FlightScope golf lessons help golfers improve their impact awareness by providing precise in­formation to improve their game. This state-of-the-art technology provides golfers with detailed information on their golf swing and the flight of the golf ball after impact. 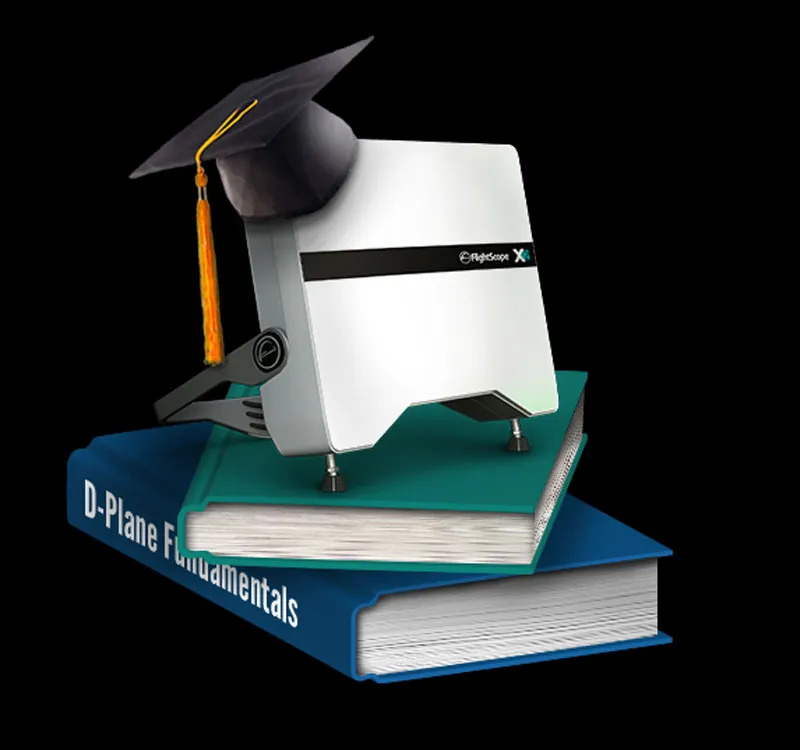 FlightScope uses Dop­pler Radar to record 3D data on club path, face angle and angle of attack. It also records data on golf ball flight, measuring distance and trajectory of shots. Contact Matt Starr at mstarr@greatparks.org to schedule a lesson. The FlightScope Complete Combine will test your distance and accuracy to 28 targets, measuring for length and proximity of accuracy. The com­bine features a representation of shots encoun­tered on the course during any given round. Ana­lyze your accuracy with wedges, approach shots and woods. Targets and distances are generated based on individual skill and experience level. The combine test can also identify equipment issues. Compare your results to PGA Tour averages on shots of varying distances. Compete against friends or see how your skills compare to players around the world on global leaderboards. The combine test will highlight players’ strengths and weaknesses at specific distances encountered on the course. Train smarter! Contact Matt Starr at to schedule a Complete Combine session. Data makes for accurate custom fitting and more efficient student learning. By optimizing spin rates and launch angles on FlightScope through data, we are able to fit you correctly to the exact lofts and lies that match your game and by having the correct clubs in your bag, you can expect more distance,straighter shots and lower scores. These measurements supply feedback that will help us understand what steps to take in club fitting and swing analysis to help you improve your game. Golf ball fitting, which is often overlooked, can also be accomplished. We carry all the latest equipment from Callaway and Titleist, along with other major equipment vendors.Golf ball fitting, which is often overlooked, can also be accomplished. We carry all the latest equipment from Callaway and Titleist, along with other major equipment vendors. The swing and club shaft analysis allows us to see things not seen by the naked eye. For fitting, we can use the data to see if the flex of the shaft is suited to your swing speed and how it is reacting through impact for you - the most important part of shaft fitting. We can also see the path of the club through impact, the club head at impact and the direction of the strike. By assessing this we can make suitable changes to your swing to game maximum improvement. 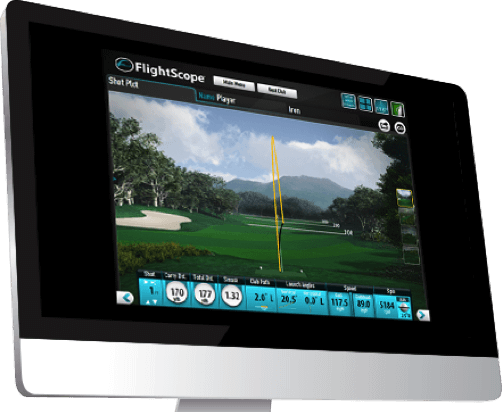 One of the benefits of FlightScope is that we can assess your performance and monitor changes. We can see the grouping of shots, exact distances and all angles and spin rates you need to look at when striving for improvement.